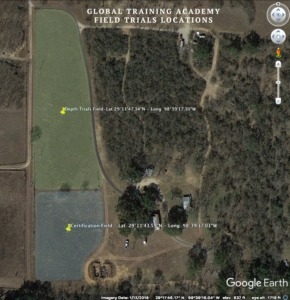 I am pleased to announce I have entered a lease agreement with Global Training Academy, Somerset, Texas and have established my own Canine Research Facility. As well as accessibility to 70 acres of training grounds, 30 search vehicles, 120 kennels, imprint buildings and a classroom I have also established specific locations for Chiron K9. This is a purpose built research facility designed for the use in canine trials under observation of scientists and data collectors. The facility includes a clean room with assisted fan extraction and air-conditioning. 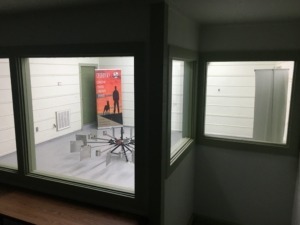 There is a separate room for target and distraction aid preparation and storage. There is a large observation area including an alcove for the use of video capture. The open space design, lighting and power sockets means experiments and trials can be designed as needed with plenty of flexibility in function. With the addition of a fridge and freezer training aids requiring specific storage can be accommodated. A specific piece of equipment is the Odor Carousel. Imported from the UK this device is specifically designed for specialized imprinting of canines. Made of medical grade stainless steel it can be cleaned effectively and efficiently. 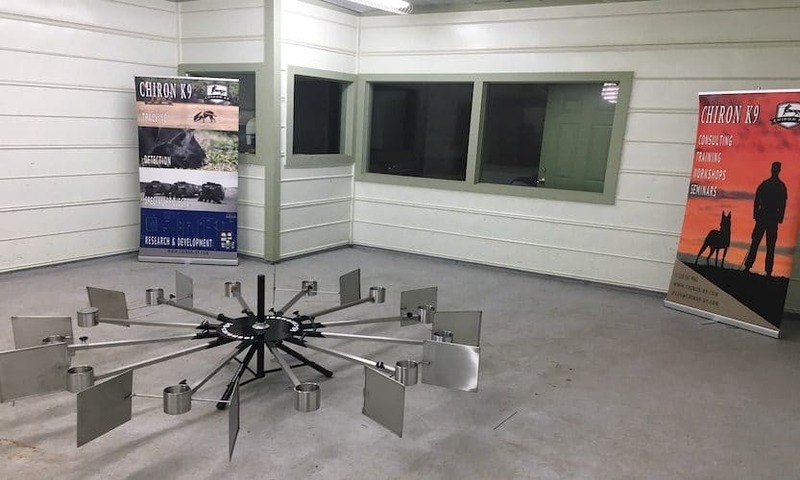 The carousel presents odors in a consistent manner for imprint training and desensitization to non-target odors.In a research trial it offers the capability to present 12 odors, 1x target: 11x non-target with consistent repetition. The carousel additionally offers the option of 12x non-target presentations to ensure false positives are discounted. Dramatically speed up your training program. Consistently shapes dogs in a fast way. Increases focus on the target odor. Probability of hitting the same target 3 times consecutively is 1700 : 1 using a 12-arm. It’s height adjustable to suite medium to large dogs. Multiple uses with interchangeable stainless steel arms that can be changed for vapor systems, bio medical, universal tubes and sealed containers. Originally designed and constructed for sub-surface detection of oil this area can be utilized for a variety of targets. The area contains 50 vertical tubes ranging between 2-3ft (5x 3ft, 54x 2 ft) 2″ in diameter. The pre-position tubes have naturalized in the environment and can be “loaded” with 1 3/4″ tubes containing soil and soil with targets. This allows the canine to be imprinted on aged sub-surface targets down to 3ft in a variety of configurations. Additionally there is over an acres area adjacent which can be utilized for training/trials or as part of a search before encountering a sub-surface target in the odor grid.